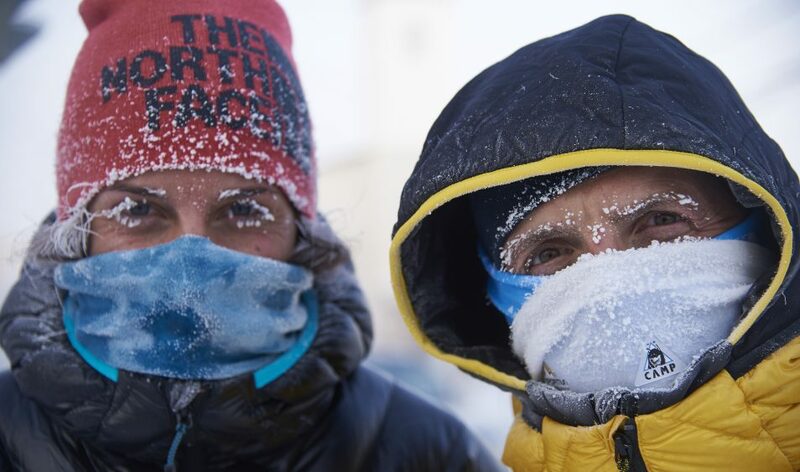 Tamara Lunger (left) and Simone Moro in Siberia earlier this winter. Photo: Matteo Zanga. 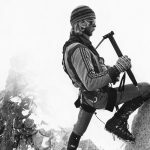 Rock and Ice caught up with the Italian alpinist Simone Moro to hear about his first winter ascent of the 9,852-foot (3,003 meters) Pik Pobeda in Siberia in early February 2018. 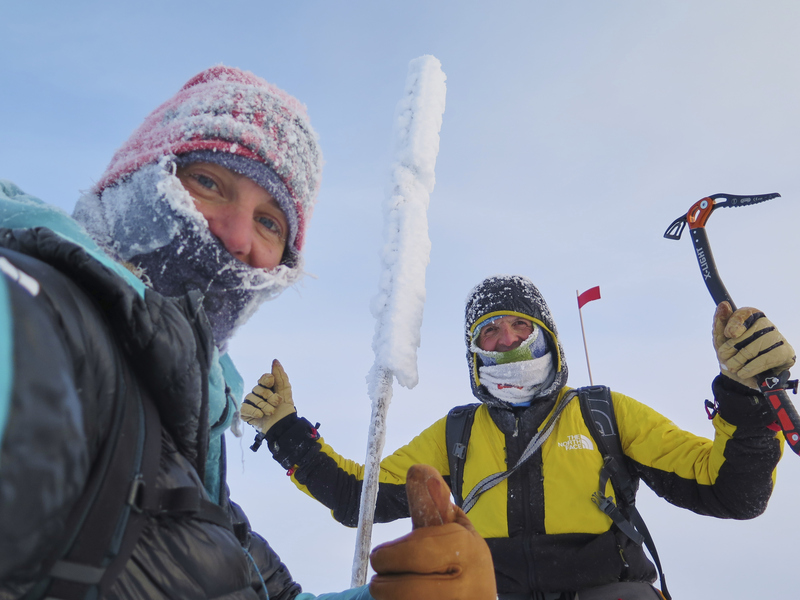 Along with his climbing partner and fellow countrywoman, Tamara Lunger, Moro traveled to the infrequently visited Chersky Range, known for some of the coldest temperatures on the planet, for a one-of-a-kind expedition replete with snowmobiles, skiing, reindeer, lots and lots of snow, and a badass climb to top it off. 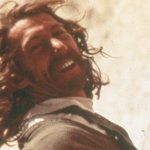 Moro has more winter first ascents of 8,000 meter peaks in the Himalaya and Karakoram than any other climber alive, and Lunger has considerable experience in that realm as well. 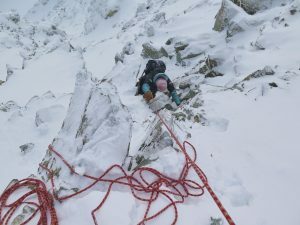 Along with Moro, Lunger was on the expedition that made the first winter ascent of Nanga Parbat in 2016, but she turned back just shy of the summit. Congrats on the ascent, Simone. Tell me, how did you and Tamara end up deciding to climb Pik Pobeda? I found an article in the most popular Italian newspaper, and it was about the coldest places where humans live on the planet. And there was always competition between two cities that are very close—one is Yakutsk and the other Oymyakon. Both in Siberia. The latter had the coldest temperature ever in a city, -71.3 °C or about -96 °F. The average temp in Oymyakon is around -47 °C. 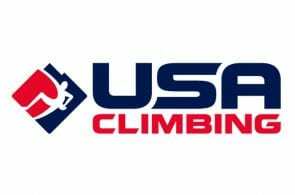 I specialize in winter climbing so I was curious. So I said to myself, ‘Let’s see if there are mountains there.’ And there are! The Chersky Range. The highest peak in the region is Pik Pobeda. So I decided I wanted to go there and perform in and explore the real extreme cold. How do you get to Oymyakon? The first thing I have to tell you is that it was really a long, long, long trip to get there. We had to take three flights—one to Moscow that was three-and-a-half hours, than an internal flight that was seven-and-a-half hours, and then another internal flight that was two hours. After that we had a full day in a four-wheel drive minibus, and then half a day on snowmobiles. Finally we arrived at a cabin where the local nomads were living. There were three where we stayed who take care of around 2,000 reindeer—in the middle of nowhere. From the cabin it was another three hours by snowmobile to Base Camp. One of the legs of the journey involved in getting to Oymyakom and Pik Pobeda. Photo: Matteo Zanga. 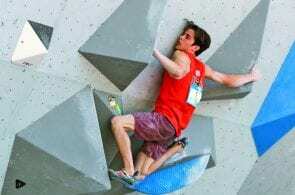 Can you walk me through the strategy of the climb? We understood that a cloudy sky could be the best conditions to attempt the mountain because it keeps it a bit warmer. Around -50 °C. Blue skies are nicer, but colder. The snow is very powdery and very dry when it’s that cold. Completely different than the alps. We discovered that the only way to move was with skis and we had to break trails for ten miles. Even with skis the snow was coming up to our knees. We understood that we had to climb this mountain not in a typical way—in summer it takes three days to climb Pik Pobeda (and It’s not frequently climbed even then). I understood it was too cold to stay out for three nights now though. 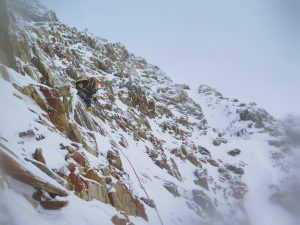 So we used a different strategy— a speed ascent in bad weather. To prepare, we went back to the nomad cabin and spent nearly 10 days there. We trained outside in the cold everyday with skis and learned tricks: how to move and do everything in extremely cold temperatures. And how did the climb itself go? 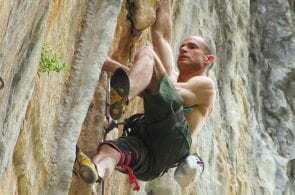 Some of the climbing on Pik Pobeda. Photo: Matteo Zanga. We started from our Base Camp at 8:00 in the morning. There are only 6 hours of daylight there [at that time of year]. We used skis to the base and then we used ice axes and crampons on the face. 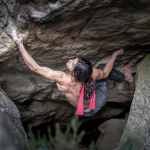 There were also rocky sections of mixed climbing. It wasn’t that cold that day. We had around -35 °C on the summit. The higher we went it got windier but got a bit warmer too. Classic inversion. We went really light and fast. We just had supplements and energy bars, and we took four liters of warm tea in a thermos. No stove, no bivy gear. We took two headlamps each. I left bamboo flags along the way, every half kilometer or so. And we also had a GPS. So we had both very ancient and modern systems to find out way back. It was important for us to go non-stop. We climbed with a rope for a lot of the climb, but in the steepest section we climbed unroped, because we understood a fall would kill both of us. It was steep, very slippery and very icy. We got to the summit roped, but then we put it away on the way down to climb independently. We climbed from the Base Camp to the top of the mountain in 7 hours 20 minutes. And we came back to the base camp in another four hours. So it was really fast in comparison to the other climbs that had been done in the summer. 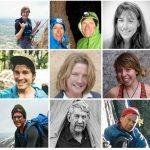 How did it compare to your winter ascents in the Himalaya? There were huge differences. In Siberia it’s probably even colder than the Himalaya or Karakoram. But your physical capacities are much higher. So you can go much faster and warm up much better compared to high altitude. At the same time, the cold is not as dry as it is at 8,000 meters. So it’s colder and your body can produce heat better, but if you’re sweating you can’t stop moving otherwise in a few minutes you become a block of ice. That’s why we never stopped climbing. 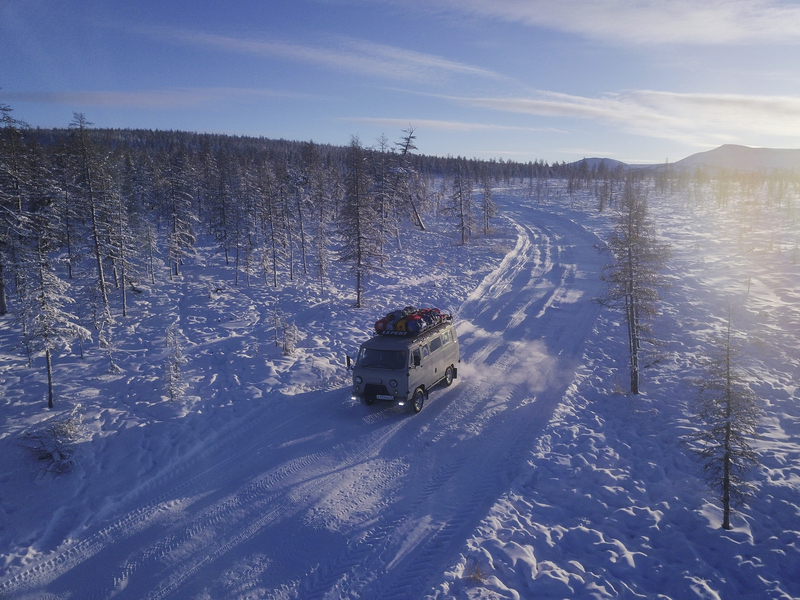 Also at high altitude you get nauseous and don’t want to eat or drink, but in Siberia, since it was at a lower altitude, we were always hungry and thirsty. What was the local culture like? The nomads and culture were really fascinating. Those people have nearly 2,000 reindeer that have complete freedom in the Siberian wilderness. Once the men went outside the whole day, and they told me they only found a few reindeer, but they weren’t worried. They always come back. 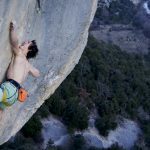 Do you think you’ll do more of this kind climbing in the future or head back to the Greater Ranges? This expedition showed me that there are still so many places to explore. I might do something similar in the region—its huge. Only six peaks have been climbed, and the Chersky range is over 1,500 kilometers long! And there were so many beautiful steep faces for climbing, skiing. But I don’t think it will be my next project. Next project I think I will return to high mountains. Probably in winter. I can’t tell you which or where because I have so many possible projects that I have to decide between—it depends which one I fall in love with first. Also I have decided to write a book about this trip to Siberia. So my next goal is to write this book, do lectures, and train hard in the Alps. On the summit of Pik Pobeda! Photo: Matteo Zanga.